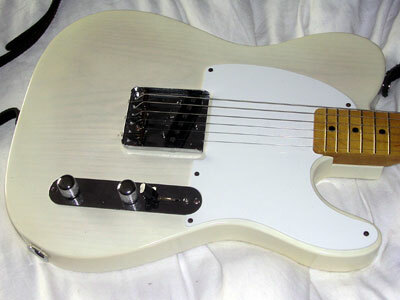 A re-creation of Fender’s white blonde of the late 1950s and early 1960s. This was my attempt at a 1953 replica. It uses my White Blonde nitrocellulose lacquer. 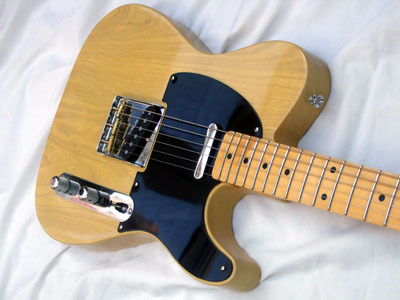 A re-creation of Fender’s butterscotch blonde of the early 1950s. This uses the same blonde lacquer as above but with a tinted clear coat to give the butterscotch colour. This one was aiming at a ’53! 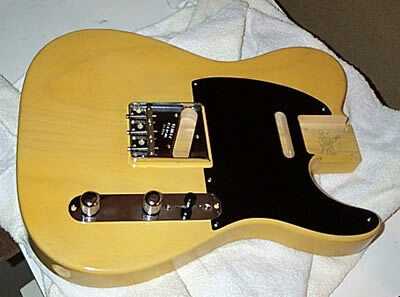 The third and my latest Telecaster to date uses my “Butterscotch” lacquer. The body was made from some ash I had lying around the workshop. Hi, I’ve got an epiphone sg custom 400, finished in antique ivory. I need to do a repair on a broken neck. Hi Geoff, my Vintage White will be pretty close, maybe with a light tint over the top. 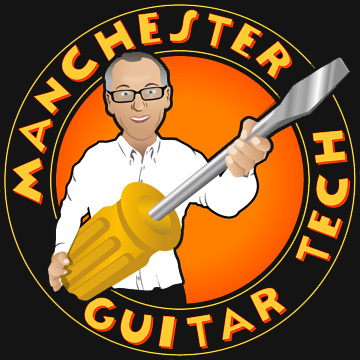 That’s what I’ve just done on a Gibson SG in Ivory; the colour blended really well and I only had to spray the area around the break.